This silver feather pendant is inspired by the Native American motif of the bald eagle. 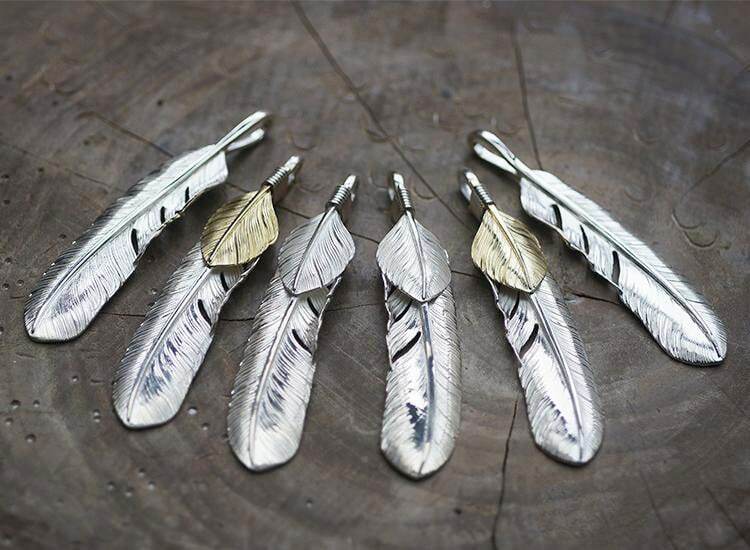 We recreate the dual tone of the eagle feather by using silver with gold or brass. 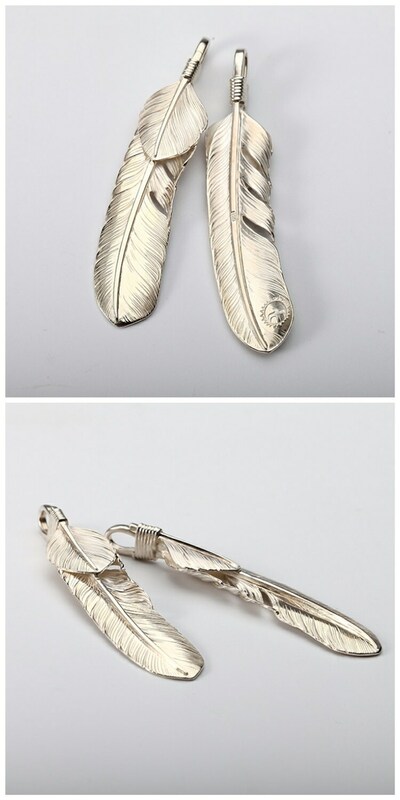 The main large feather pendant is an XL sized feather, crafted in 925 sterling silver, with a tip in 18K gold or brass. 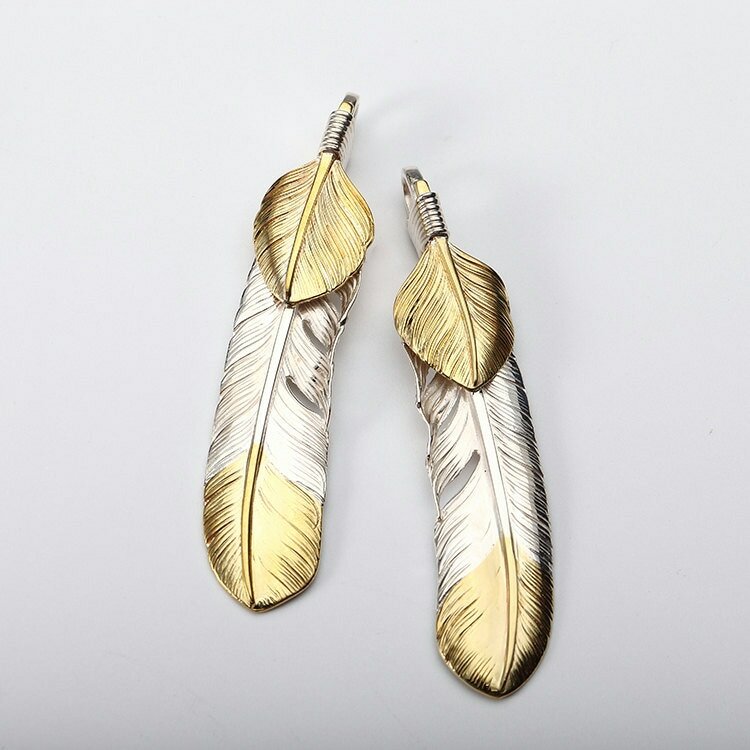 The smaller feather is crafted in 18K gold or brass. Both the silver feathers are tied together at the quills with a thin silver wire. 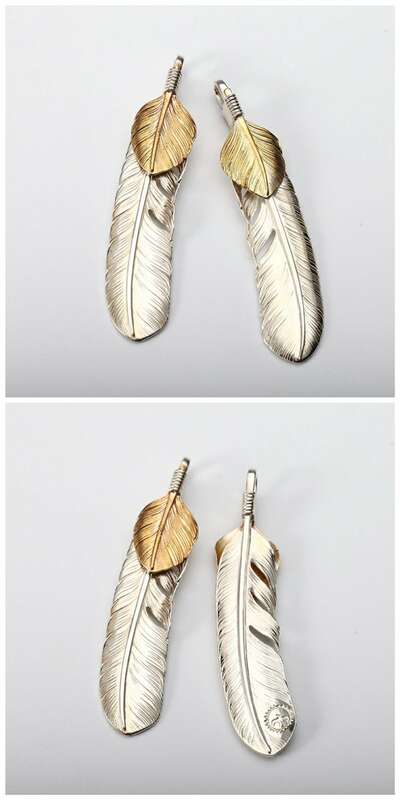 Style A1 (2nd image): Brass mini feather and brass tip large feather pendant. 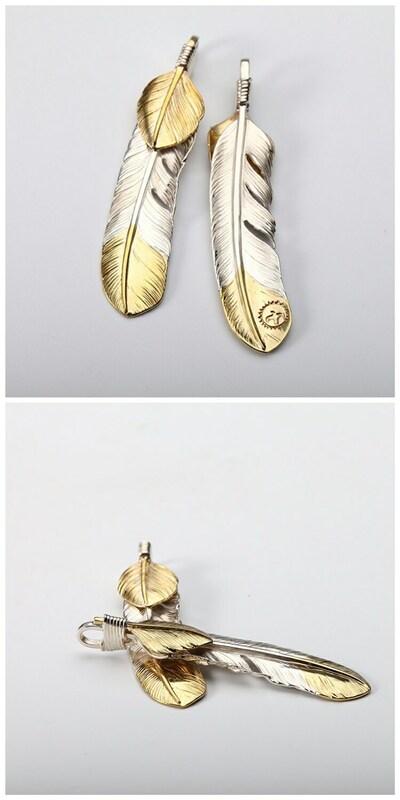 Style A2 (2nd image): 18K gold mini feather and 18K gold tip large feather pendant.